When Huck Porter's dad suddenly dies, it feels like nothing will ever make sense again. Huck's "best friend" thinks that Huck should just get over it, the girl he likes won't give him the time of day, and his mom now works all hours at a roadside diner to make ends meet. The only thing that still makes sense for Huck is the game his dad taught him, the game they spent hours playing together: Texas hold'em. Worse than all of that, though, is Huck's math teacher, Mr. Abbott -- a hungry card shark with an ego to match his appetite. He now wears the local poker tournament's first prize, a silver watch that Huck's dad wore proudly for three years. So Huck hatches a plan to knock Abbott off his throne and win back the watch. Only, bluffing his way into the tournament will mean lying to everyone Huck knows. But as Huck gets deeper in the tournament and starts to lose himself in the cards, he begins to wonder who he'll be when the last hand is played. 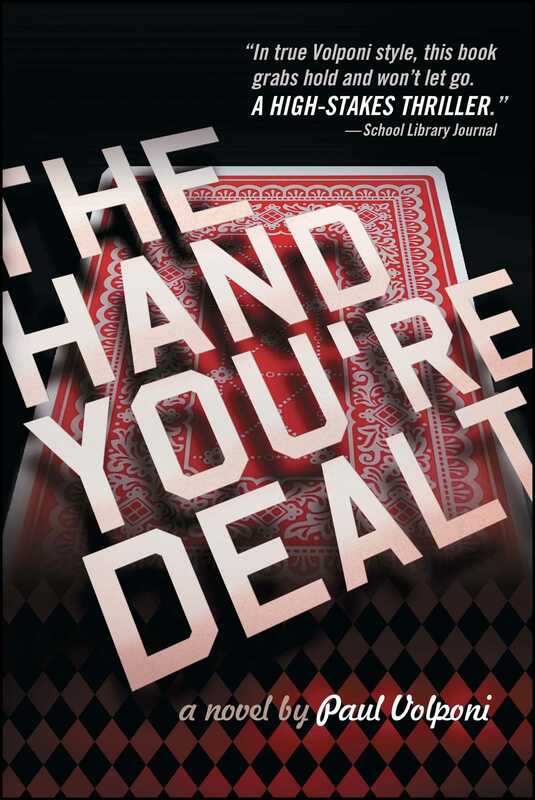 Raw and gritty, Paul Volponi's novel about grief, family, and poker is an adrenaline rush that starts with a bang and doesn't let up until the final page is turned. A coming-of-age story set at a card table, The Hand You're Dealt will leave readers wondering what they would risk in a game.